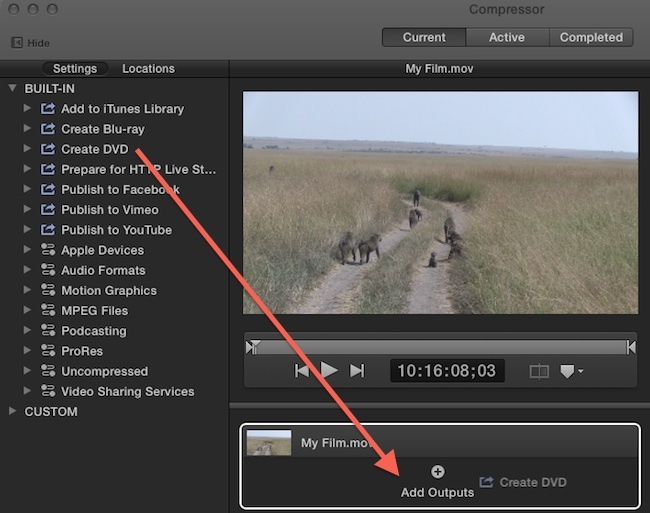 This workflow covers creating a simple one film video DVD. 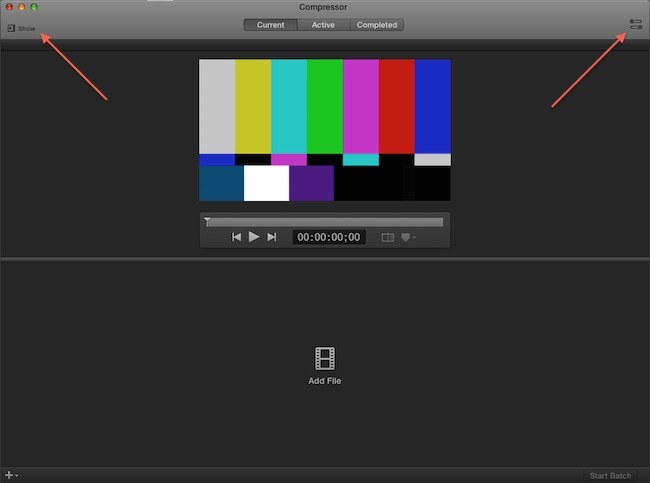 It is not possible to burn two films onto one video DVD in Compressor, so it is important if you are burning more than one film that you have multiple DVD’s to do so (for example, when submitting DVD’s for portfolio review to the department). Note: this tutorial assumes you have already made a high quality export (.mov) file of your film. 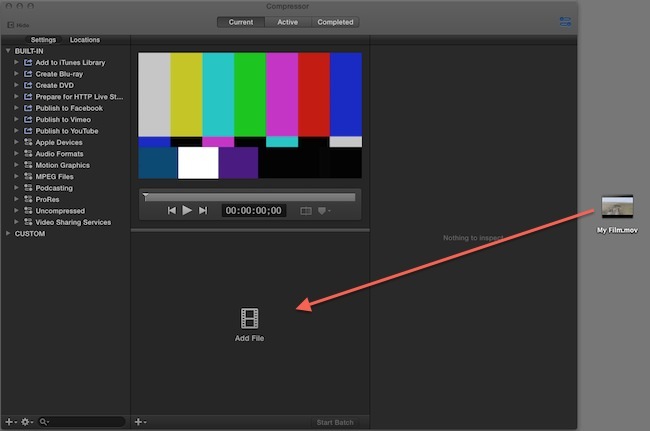 In Final Cut X: this can be done very easily using the File > Share > Master File command. 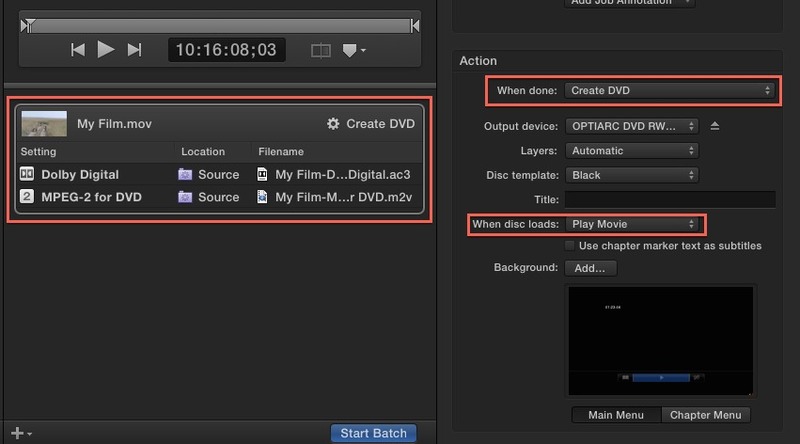 In Adobe Premiere, please follow this tutorial to prepare a .mov file for creating DVD’s. Once you have created your .mov file, please come back to this page and follow the below instructions to burn a video DVD. Step 4) Drag the “Create DVD” preset from the settings window onto your mov file that you added in the previous step. When the disc is finished, you can re-insert it into the drive to verify that it plays back correctly. DVD’s inserted into our computers will automatically launch the application DVD Player.